Healthy meals are my new normal. If you have decided to join me on my weight loss journey you know that I have decided to make a real change in my life, and that I’m super committed. Part of that commitment is reworking many of my tried and true recipes to make them healthier for both me and my family. Turkey chili was one of the first recipes I tackled. Chili has long been an easy weeknight meal. My father makes the best chili. Seriously, it’s that good. It can be time consuming, but it doesn’t have to be. I would often put together a version of his chili (I don’t think he ever gave me all of the ingredients – he’s holding out on me) and put it into the slow cooker after browning the meat. The family would come home to a ready to go meal, and the house would smell amazing. Chili as a main dish when entertaining. Personally, I think chili is a fantastic dish for entertaining. Most people seem to enjoy it, there are so many different toppings you can offer so people can personalize it to their tastes, and again, it’s pretty easy. I’ve had parties in the past where I offered a chili bar. Two different kinds of chili, some tortillas, and all the possible toppings you could imagine. A fun time had by all. It’s time for some swaps. Now that I’m committed to my weight loss journey, I needed to make some swaps. The first was simple: lean ground turkey meat for ground beef. I also wanted to bulk up the consistency with more vegetables, so I swapped out crushed tomatoes for diced. I also added chopped peppers, which I didn’t add to my regular chili (mainly because my son isn’t a fan of them). Lastly, I wanted a bit more spice. I’m learning that spice can help to rev up your metabolism – so why not? To get that extra kick, and an extra dimension of flavor I added in a half cup of green enchilada sauce (natural, organic, without any added sugars). My favorite topping? Sliced jalapeños. To get the most out of your spices, make sure to “toast” them. When exposed to the heat their flavor seems to intensify. I always “toast” them in the pot after I have started cooking my onions. Another tip? Use tomato paste. This will help not only to intensify the taste of your dish, but will also give the impression that it was cooked for a much longer period of time because the flavor is so deep. Toasting your spices helps to intensify their flavor. My last tip for technique with chili – spice at every step. 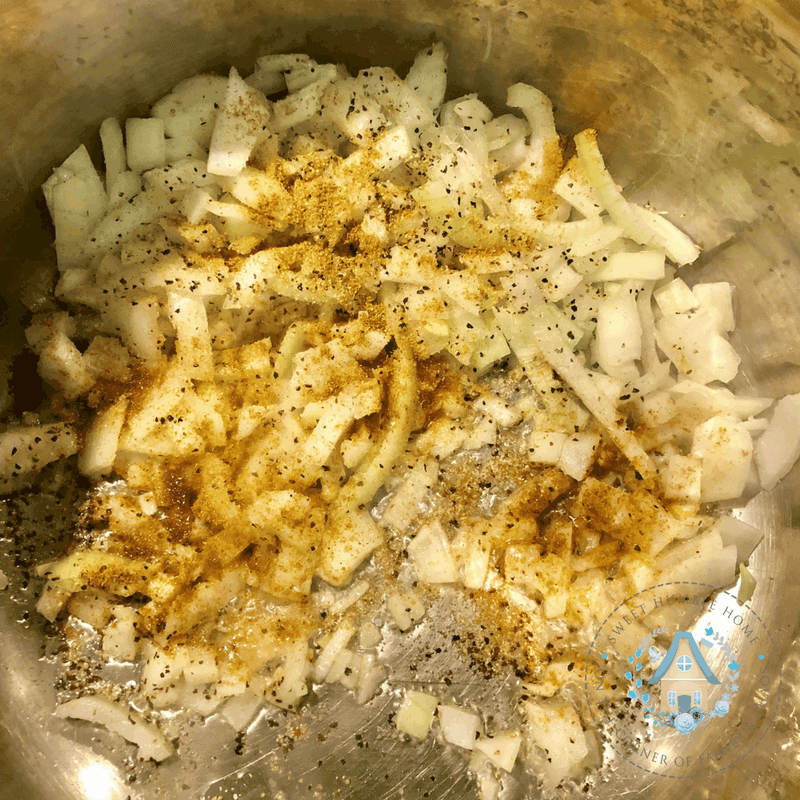 Cook your onions – spice. Brown your meat – spice. Add your tomatoes – spice. You get my drift. Oh – I’m sorry, one more thing. Clean the kitchen as you go. That’s just a pet peeve of mine. I tend to enjoy my meal more when it isn’t followed by cleaning a kitchen that looks like a massive storm front has just passed through (AKA, my husband). Chili is in my regular meal rotation. I used to have chili on Tuesday nights with my son because my husband isn’t a big fan. After tasting this chili, he enjoyed it so much he asked me to add it in on nights that he is home! It’s also a fantastic slow cooker dish. Do everything as described and then add cook on low for 6 hours. SO GOOD! Looks great. I can almost smell it. Have to try this one tomorrow night for sure. Keep the recipes coming please. Thanks, Frances! I have many more coming! I hope you enjoy it! Let me know how it turns out! SPOILER ALERT! This is an epic fail for healthy weight loss. We can’t stop eating it. I’m fairly confident this recipe is supposed to feed more than two people…. this is binge food. It is just amazing…. Well now – that’s great news! I couldn’t be happier that you enjoyed it, Susanne!